Meet Peter Rabbit in your very own VIP Meet and Greet in our Peter Rabbit Theatre. 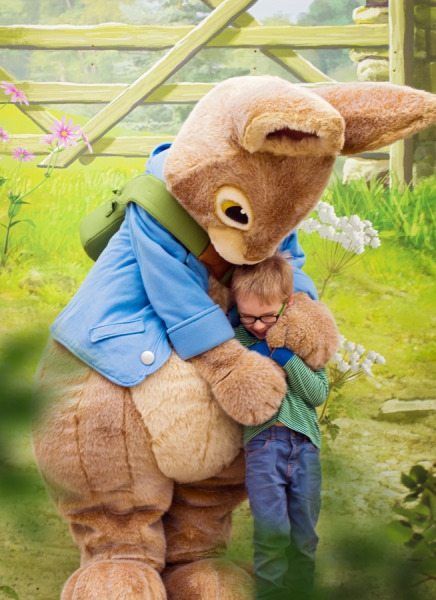 The £60 ticket includes up to three children meeting Peter Rabbit, learning a song and dance with him and receiving one Peter Rabbit goodie bag. There will also be a chance for you to take photos with Peter Rabbit. Peter Rabbit VIP Meet and Greet tickets do not include entry to Willows. Entry tickets must be purchased separately and VIP Meet and Greet tickets cannot be bought and redeemed separately.